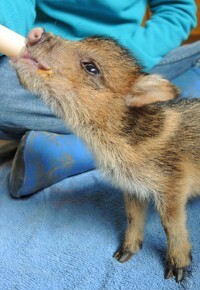 Southwest Wildlife Conservation Center started because of one woman’s love for wildlife. She created a place for southwest mammals to be rescued, rehabilitated and released. The few who could not be released would find sanctuary for the rest of their life. One of our favorite sanctuary pairs seen on tour are Sandy and Shorty. The love they share is “motherly.” Sandy can often be seen scolding Shorty. Though in this photo, Shorty is begging for affection. 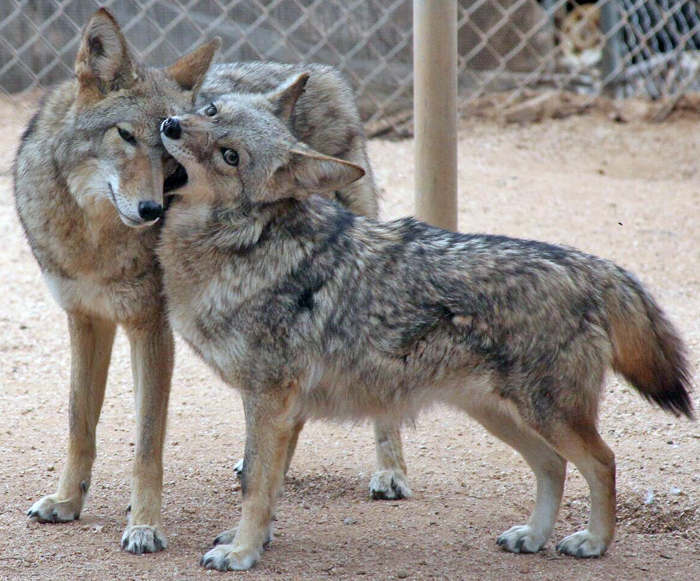 For this love story and others, bring your sweetheart with you to Southwest Wildlife’s Hearts and Howls event on February 10th. Register at http://bit.ly/2nOfDMX.